Providing you the best range of traffic barrier, check post barricades, safety barriers, traffic safety equipment, barriers a stand and road barrier with effective & timely delivery. Coming in easy to handle construction finish, these Traffic Barriers find use in demarcation of out of limit areas in temporary work zones. These are also more convenient to position, move and retrieve and are made available in length of 1150 mm, height of 800 mm, width of 500 mm. Further, these come with hollow interior space that can be filled with water up to 22 Lts which helps in stabilizing the barriers in strong winds as well as in other adverse conditions. 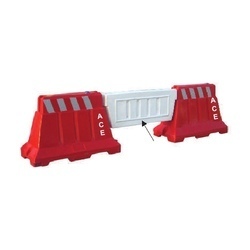 As highly portable plastic traffic barricades, these prove to be more stable option in comparison to posts, cones and other barricades being used. 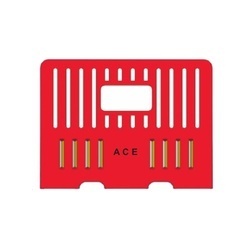 Some of the advantages it offers include bigger size that adds to more caution paid by drivers, linear design, lift pockets at ends for easy movement, allows alignment in straight or curved position and option of mounting flashers as per the requirement of clients. Providing for highly stable usage, these Check Post Barricades are offered in lengths of 1100 mm, height of 500 mm and width of 200 mm. Further, its hollow interiors can hold water up to 15 liters which helps in stabilizing these barriers in rough usage conditions. Other than water, sand can also be added to the barrier cavity for achieving better stabilization. As an effective system for traffic and pedestrian management as well as in demarcating of areas, these are suited for civil works as well as for placement in roadsides where digging and other repair work is being carried out by workers. Some of its advantages include quick assembly, lightweight finish which makes these easier and convenient to handle, large bases for better stability and reflective panel support for maximum visibility during night time. We offer our clients high quality of Safety Barriers which are an ideal choice for ensuring safety in a number of different industries such as roads, construction and mining. 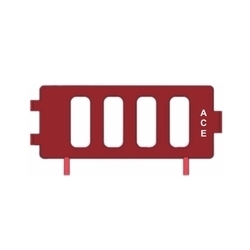 Manufactured from good quality material, these products from our side have the facility of putting easily which makes it easier to have the safety applications ensured. On-time delivery and affordable rates are something that are always a must on our list. We are engaged in offering a wide range of Traffic Safety Equipment. These products are light-weight, damage resistant and have good durability as well. Manufactured using superior quality raw material, these provide great degree of safety. These equipment from our end are visible from a good distance and thus help in the management and control of traffic on the road. 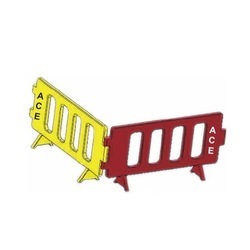 Allowing for fast deployment, these Safety Barriers are easier to move & handle and perfectly suit the requirement of creating temporary barricades for worker’s safety as well as for the safety of vehicle drivers and pedestrians approaching/using the area. We make these safety barriers available in length of 2000 mm, height of 1000 mm and width of 60 mm. Mitigating risk in hazard prone area, these highly portable barriers offer versatile usage and perfectly match up to the requirements of controlling access of ongoing pedestrian and vehicular traffic. Some of the areas these are preferred to be used in include construction work sites, malls, car parks, warehouses and others. Made from superior grade impact resistant polymer, these Barriers A Stands come in lengths of 1300 mm, height of 800 mm and width of 500 mm. Also having UV stabilized finish for maintaining of bright non-fading color finish, these are more better and convenient option to use in comparison to drums and fences as these are not only light in weight but also offer easy and convenient installation support. Here, our expertise lies in making these available in different color options as per the specific preferences of the customers. Some of its advantages include completely detachable finish for easy handling, can be used as rope barrier for queue management and crowd control and others. 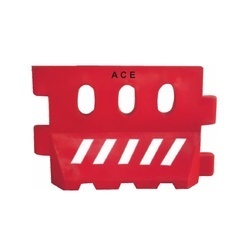 ACE Barriers are made from highly impact resistant polymer. UV stabilized for non-fading colors. It provides greater degree of safety than drums, fence and cones. Light weight makes it very easy to install or de-install. 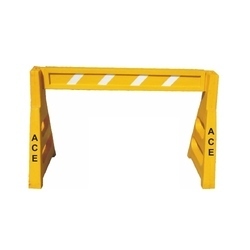 A Stand Barrier are Detachable for low transportation cost. Road Barrier are an asset to traffic management and safety. These barriers from our side are made up of excellent material which enable them to be safe from all the environmental factors. These are used to protect traffic from roadside obstacles or hazards, such as slopes steep enough to cause rollover crashes, fixed objects like bridge piers, and bodies of water. Wheel Barriers are used to prevent annoying impacts in car parking areas and in the overall management of the traffic as well. These products from our side can also be used for protecting drop-offs for varied height. These are manufactured using high quality material that allows them to last long and be visible from a great distance as well. In the world of road safety products, we are a leading name and our Water Filled Barriers have emerged as a winner in the market. They are absolutely protective for the working environment and are distinguished, above all, by their striking design. Expressed particularly in the shape and subtle accentuation of the last, which has been developed according to the latest designs. 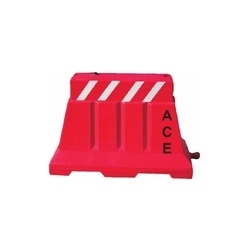 As a leading name in the area of Fance Road Barrier, our company has made its significant mark in the market. This one is a modern product with a strikingly attractive design. These are safe, comfortable and reasonable priced. And they are worthwhile improving the traffic management. These are offered with an option of manual adjustment which makes it easy and comfortable to put up. 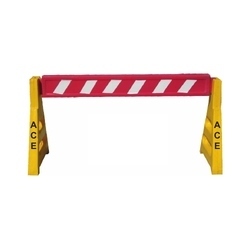 Jumbo Wall Barriers that we offer are brightly colored that are used to warn or catch the attention of passers-by of an area or situation containing a possible hazard. It is made with durable, resilient, tear-proof materials. It is big in size so as to perform its function of traffic control and management at its best. It is made available to the customer at industry leading rates. Crash Barriers are made out of excellent impact resistant polymer material that provided them to have an elevated durability. It provides greater degree of safety than drums, fence and cones. These products from our side are very light in weight which makes them easy to install or de-install. 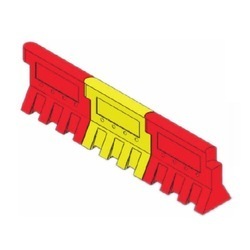 These are made available to the customer at industry leading rates and as per the set industry norms as well. Road Barrier from our side have proved to be an ace product when road safety good come in the picture. These are an asset to traffic management and safety. These are used to protect traffic from roadside obstacles or hazards, such as slopes steep enough to cause rollover crashes, fixed objects like bridge piers, and bodies of water. Roadside barriers can also be used with medians, to prevent vehicles from colliding with hazards within the median. 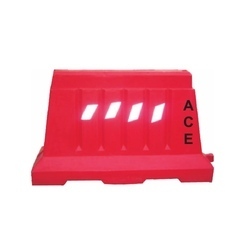 Ace Polymers (India) is one of the leading manufacture, trader, wholesaler, retailer distributors of Road Safety, Barriers, Industrial Safety and Roto moulded range of Dustbins, Water Tanks and Industrial containers. 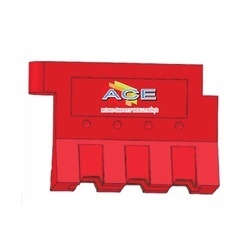 Ace Polymers (India) is one of the leading manufacture, trader, wholesaler, retailer distributors of Road Safety, Road Barriers, Industrial Safety and Roto moulded range of Dustbins, Water Tanks and Industrial containers.